The European Union (EU) will provide €100 million ($114 million) to the Ministry of Education and Higher Education (MEHE) to ensure quality education for all children. Around $90 million of the grant will cover students' enrolment fees in primary education, teachers' salaries, and parents and school funds to support the maintenance of public school infrastructure. Another $12 million will be allocated to deliver the ministry’s non-formal education programs. Some $12 million will help enhance the quality of education by introducing the use of child-centered teaching and learning approaches, and by strengthening the ministry's capacity to collect data and monitor quality of education services. The country’s education sector has received substantial foreign support since the outbreak of the Syrian war. For instance, the EU’s latest grant comes on top of €228 million ($260 million) in education support it has provided to the country since 2012. The United Nations and the World Bank committed $634 million to the MoEHE in 2014 to ensure that every child in the country attends school. 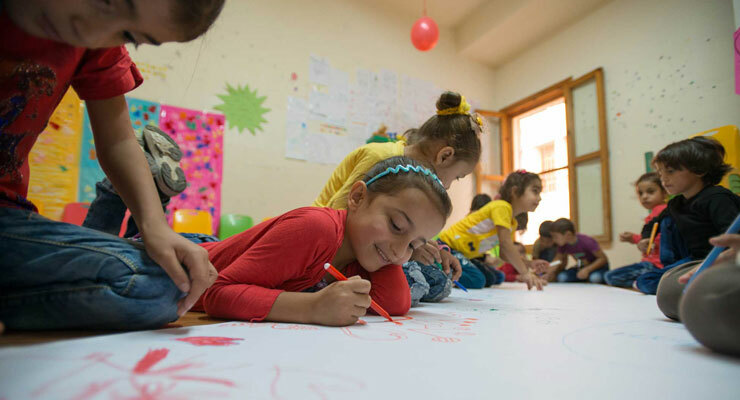 "The EU and MoEHE will continue working to strengthen the capacities of the public education system, in order to deliver inclusive and quality education for all children in Lebanon", said EU Ambassador Christina Lassen.